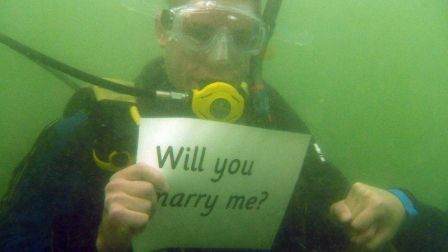 Marriage proposals Marriage Proposal, Scuba Diving Marriage Proposal, Underwater marriage proposal, Valentines Proposal. permalink. What a great idea! Certainly very memorable!